Discussing today's earthquake in the Paria Peninsula Trinidad with UWI-SRC Director Prof Richard Robertson and Seismologist Dr Joan Latchman. This warning has been issued for Barbados by the Disaster Emergency Management (DEM), in the days, weeks and months following the initial earthquake you can expect to feel aftershocks via their Facebook page. 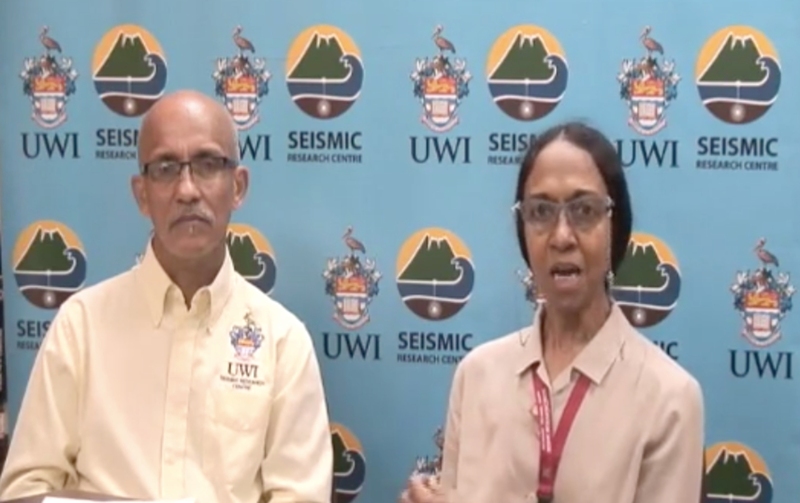 CDEMA - Caribbean Disaster Emergency Management Agency has also gone live on Facebook to discuss the earthquake in the Paria Peninsula Trinidad with UWI-Seismic Research Centre (SRC) Director Prof Richard Robertson and Seismologist Dr Joan Latchman. 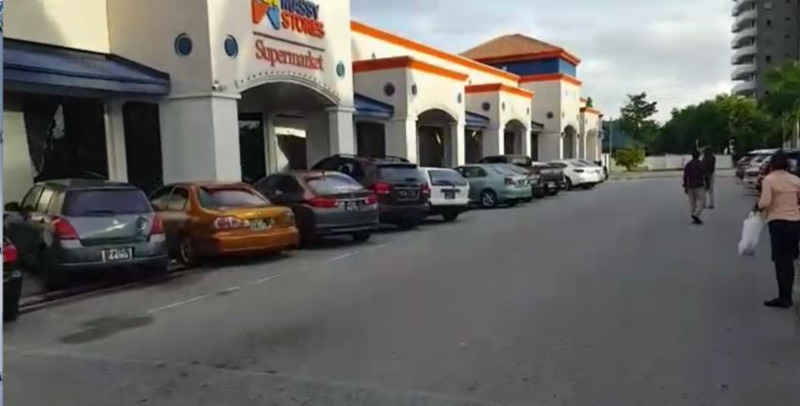 Dr. Latchman said that most people in Trinidad experienced the earthquake around 5:32 pm this evening. She explained that this is the strongest earthquake since the South East Tobago earthquake, December 6, 2016. 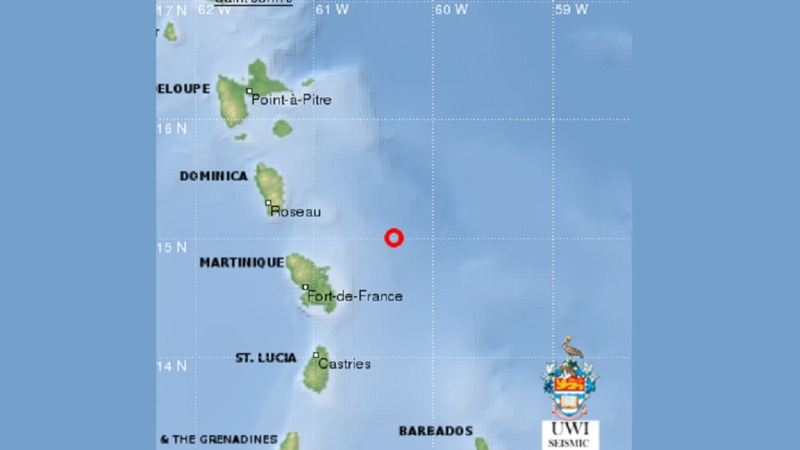 Tremors were felt in St Lucia at about that time. The preliminary magnitude of the earthquake was 6.8. She said, "Here in Trinidad, I was driving an I could feel it as I was driving so it was definitely a very strong earthquake." Grocery shelves would have shed their goods according to her, as they aren't secured or protected. Further, she added that generally it was "very strong, and had significant depth - 86km. Our depth is about 80km." Speaking to if this activity was expected, she said in a nutshell 'yes'. "We have been seeing this build-up of earthqauke activity in the Gulf of Paria Peninsula area. This one occurred a little further West of where we saw the first earthquakes on the 26th of January but it is consistent with what we have been observing and projecting should occur in the Gulf Paria Peninsula area. At 6.8, even if the magnitude goes up to 7, it is a significant magnitude earthquake." In 1968 was the last time Trinidad experienced an earthquake of this size. But Dr. Latchman warned, "Still this is not the strongest that we can have in this area. We can consider this as another one of those events that keeps us aware that our region, our area here is seismically active and that strong earthquakes will occur, can occur and will occur, and even stronger than what we had this evening will occur at some stage. "We can expect aftershocks. We have had seven aftershocks so far." To date, she added that the revised magnitude for the earthquake now is 6.9 and she advised that as ot pertains to aftershocks, there is no formula to tell us when the strongest will occur. However, when she last checked after 6:00 pm, the aftershocks were coming one every three minutes, though not on scale that would be felt by all. In regard to a major aftershock, Dr. Latchman warned, "We will expect an earthquake around the 5.5 -5.9 range within hours, within 3 to 5 hours we would not be surprised, or tomorrow, sometime this week." She said there is no way to predict the exact timing but looking at patterns of the past this is the projection they can make. UWI-SRC Director Prof Richard Robertson also disclosed that there is no tsunami threat for the region.